Cannes, France, 4th October 2017 - Leading global customer experience agency, Albatross CX launches the CX App at the TFWA Digital Village 2017. The CX App is a mobile solution equipped with all the necessary tools that help elevate customer experience. TFWA Digital Village is a new initiative to showcase creative digital solutions and services to the 12,000 duty free and travel retail professionals attending TFWA World Exhibition & Conference 2017. Albatross CX is proud to announce its participation in the upcoming TFWA Digital Village from 4th to 6th October with a stand located at DA13. 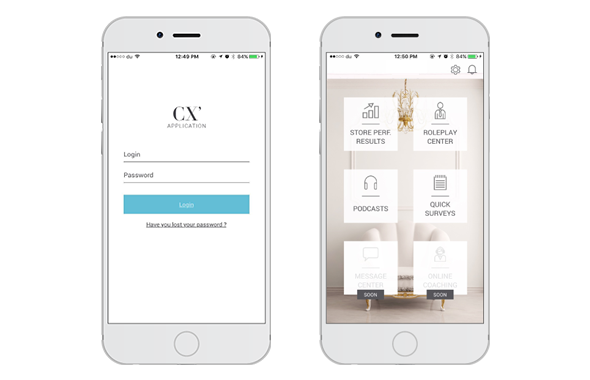 The CX App changes the way brands activate data collected from customers. Teams are equipped with a powerful tool to visualize and leverage on the collected data and help them improve the customer experience they deliver. In other words, with the CX App, retail teams are guided through a series of activities that are designed to develop skills and competencies needed to better engage with customers. The CX App is a premium digital tool which is flexible and easy to set up designed to generate profitable growth directly from point of sale.